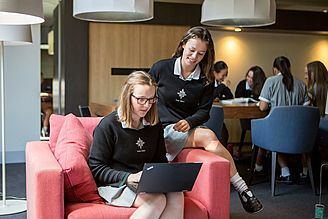 Methodist Ladies’ College (MLC) is one of Australia’s leading independent girls’ schools, internationally recognised for its extensive curriculum choice, cutting-edge approach to education, varied learning experiences and outstanding academic results. With a proud 137 year history of educational innovation and continued academic excellence, our over-arching goal is to nurture and develop each MLC student so that she leaves school with the skills, knowledge and values necessary to be a world-ready woman. 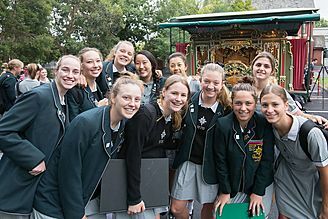 Offering one of the broadest curricula of any independent school in Australia, the hallmark of an MLC education is providing ample opportunity for your daughter to explore and develop her passions unhampered by stereotypes. 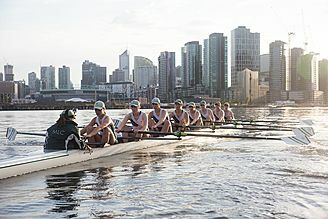 With more than 30 international sports and a wide range of groups, committees and clubs across many areas, we encourage our students to try new interests and discover new skills. While we offer big-school opportunities, our renowned wellbeing programs means we also provide small-school care so every student feels valued and supported. A new Year 7 and 8 Learning Centre opening mid 2019 will be the forefront of learning spaces and compliment MLC’s world-class learning environment, which includes a future-focused science centre, award-winning MLC Libraries, state-of-the-art Physical Education Centre, professional TV studio and video editing suites, full service training restaurant, innovative and personal iPad and laptop programs and two remote Outdoor Education campuses: MLC Banksia and MLC Marshmead. Our talented teaching and educational support staff are dedicated, passionate and work tirelessly to inspire our students’ pursuits so they can achieve their very best. MLC’s outstanding academic achievements has consistently placed the College as one of the top-performing independent schools in the state. MLC is a proudly open-entry and non-selective school where we welcome students from all walks of life to learn and achieve together. We deliver a world-class, holistic education in a diverse and supportive community that creates well-rounded students. The College embraces all students’ unique strengths and abilities, and celebrates all achievements our students make: be it academic, sporting, music, creative, leadership or conquering personal goals. MLC provides the education that inspires young women to be the citizens the world needs. 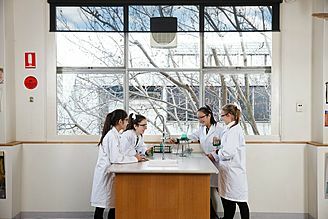 MLC provides three learning pathways when students enter Years 11 and 12: VCE, VCE VET and IB. Students receive extensive support when making their learning decisions, with information sessions and knowledgeable support from teaching coordinators and career counsellors. Alongside the College’s VCE offerings, MLC has always performed strongly in the IB with average scores well above the global figures. In 2018 an incredible 22% of MLC’s IB students achieved an ATAR equivalent of 99 or above. A total of 73% of students achieved an ATAR of 95 or above and the median IB ATAR was an outstanding 97.5. MLC is proud to be the second school in the world to be awarded the Council of International Schools Certification. The IB programme is designed to prepare students to be active participants in their global community, creating well-rounded students with its broad and balanced curriculum. 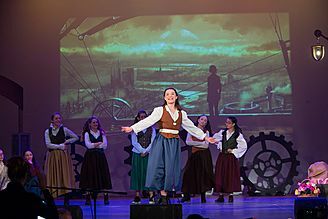 Students will experience components unique to the IB: Theory of Knowledge (TOK), Creativity, Action and Service (CAS) and a research essay in a topic of special interest. It is a challenging curriculum that fosters high academic standards and international understanding. IB subject offerings depend on demand of students year to year.